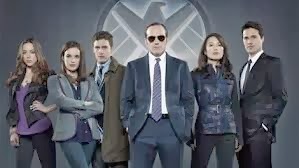 ABC’s Agents of SHIELD may be on a dangerous slide based on its overnight numbers, but it is still managing to stay in the broadcast network Top 25 even if it is slipping down the ranks. For the week of November 4th through 10th, that show landed at the Number 19 slot on the list (after dropping out the prior week with a repeat episode). And based on this week’s ratings, it looks like it should stay there next week, though it will be right at the edge. The show is still scoring well in the GetGlue Top 10 for the broadcast networks, so it has that in its favor as well. But its continued ratings downfall needs to turnaround if this show wants to stick around past its freshman season. Sleepy Hollow also returned to the broadcast net Top 25 after being out two weeks because of repeats and preemptions. Once Upon A Time slipped out for the week, though. For the cable shows, The Walking Dead took the Number 2 slot based on total viewers, losing out only to football. That show still had the highest rating (a 6.2 score) in the 18-49 demo for any non-sports programming on either the cable or broadcast networks. Grimm and Dracula both made appearances in the Top DVR gains chart with their premiere episodes. The latter show is probably going to drop out pretty quick, though, based on its ratings slide since its initial episode.